Lyle & Scott men's retro engineered stripe t-shirt in navy and white. Inspired by classic 1960s Mod Breton stripe tops, this crew neck tee from Lyle And Scott blends a nautical theme with a casual Indie edge. Combining a mix of classic and fine horizontal stripes to create a stand out texture, this Lyle & Scott short sleeve t-shirt is the perfect accompaniment for denim jeans. Finished wit the iconic Lyle And Scott golden eagle emblem to the chest. 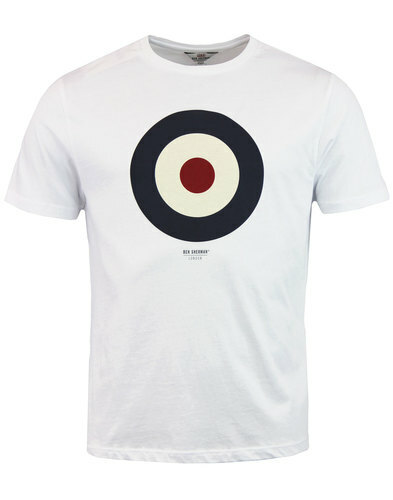 A timeless Mod Breton style reworked into a striking engineered stripe t-shirt. 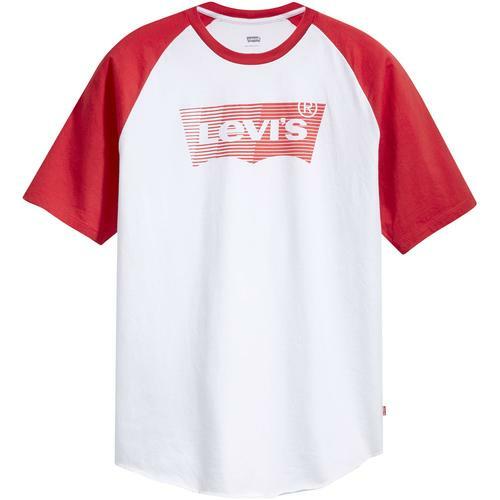 A Retro Clothing masterpiece! 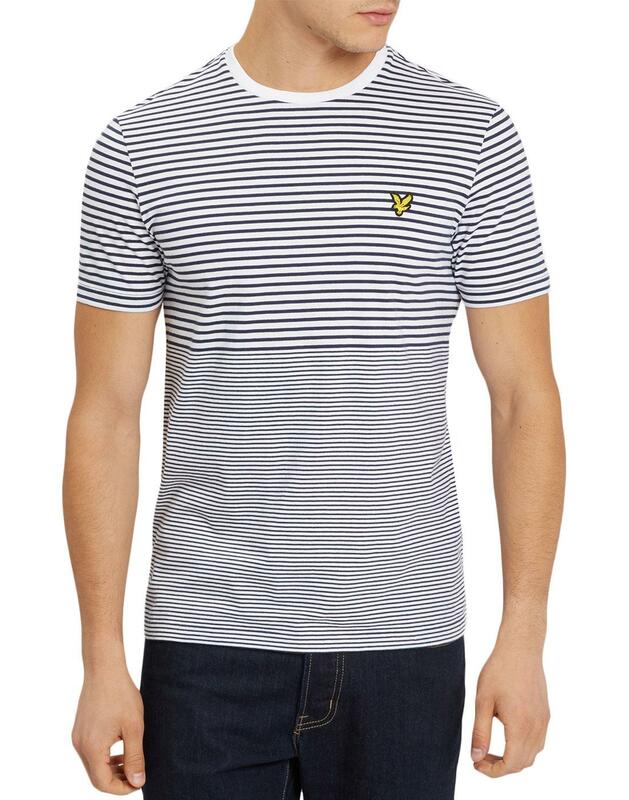 - Lyle And Scott men's retro engineered stripe t-shirt in navy. - Soft jersey fabric construction. - Multi stripe details for texture. 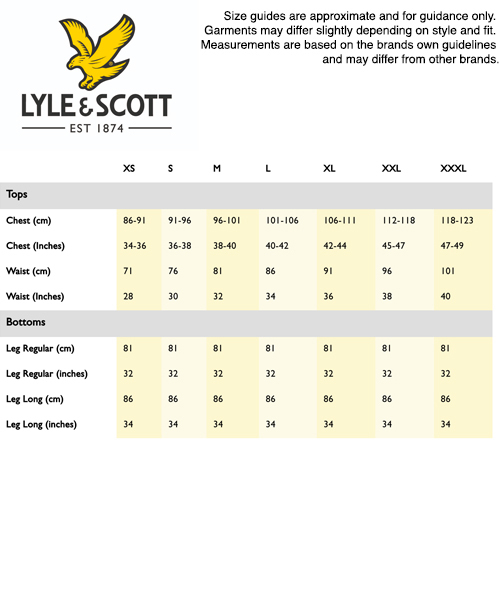 - Lyle & Scott embroidered applique to chest. - SKU: TS820V Lyle And Scott Stripe Tee.